Bay posts are an angled version of a Tposts, a vertical post fitted within the shutter frame allowing the frame to be angled around corners. They can be used within all the frame types and can be ordered with along with Tposts to ensure the layout of the frame matches your window layout. A bay post is like fitting two L frames together at a slight angle and infilling the gap with an angled batten. 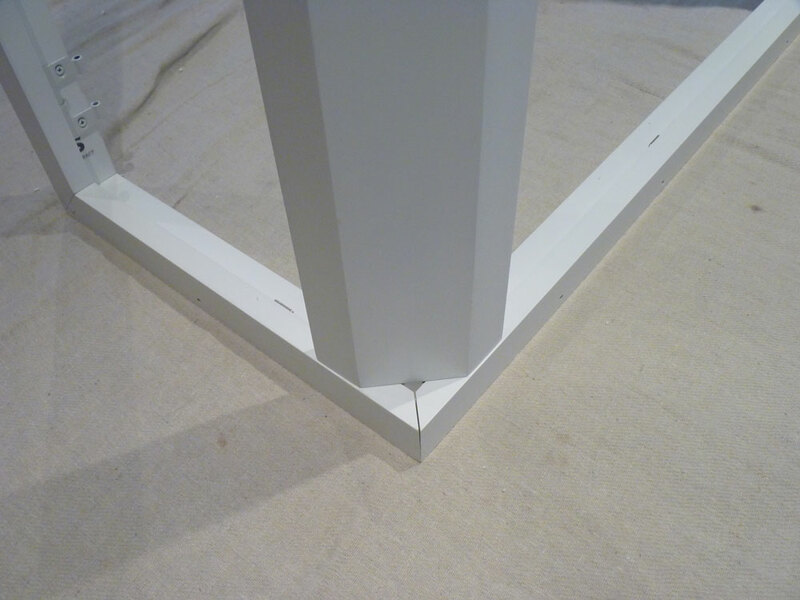 CORNER POSTS – A corner post is set to a 90-degree angle, its available in two sizes, 32mm for Deco frames and 46mm for L frames and Z frames. 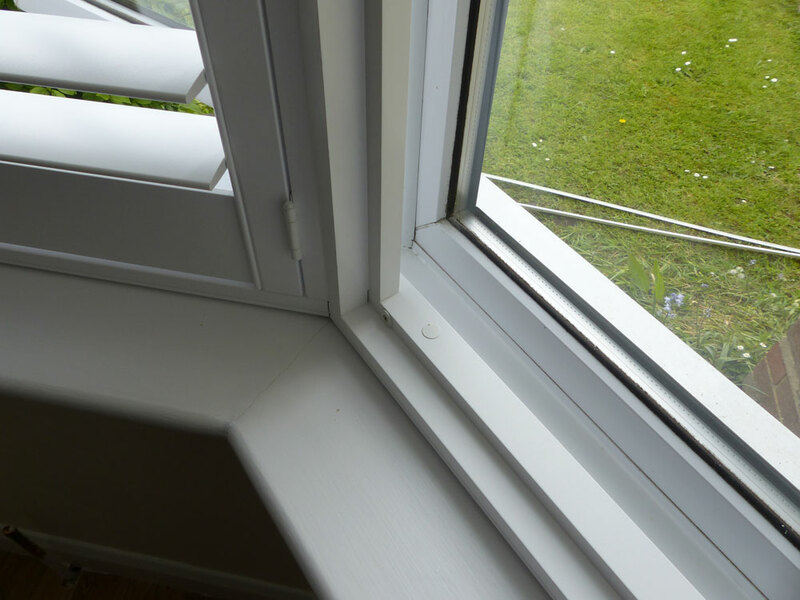 BAY POSTS – The standard angle is 135 degrees suiting most angle bay windows, they are available in two sizes, 32mm for Deco frames and 46mm for L frames and Z frames with and without a hidden insert option. 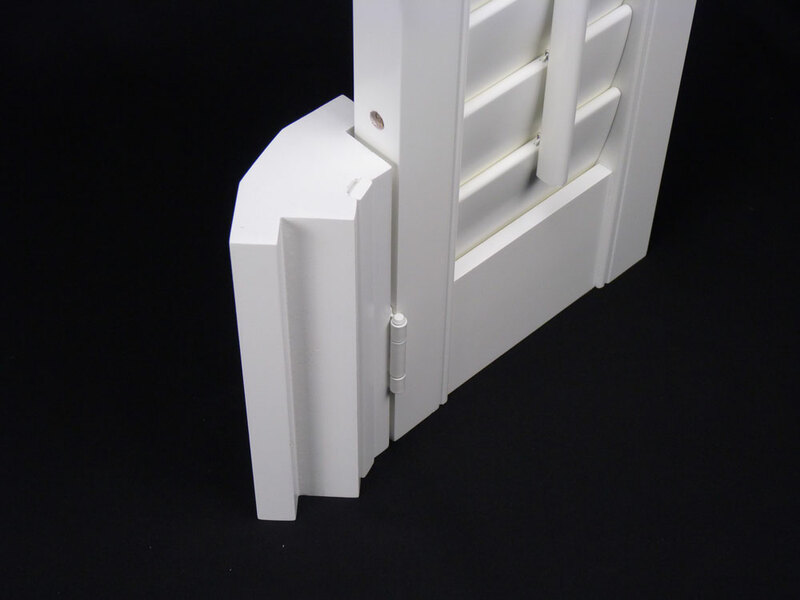 CUSTOM BAY POSTS – For non-standard bay angles, you can order custom angles, perfect for curved or round bay windows just provide the angle you require the bay post. Note, that the insert option is not available in a custom design. MEASURING – All measuring should be done from the left of the recess to the centre of each angled post. You can choose to provide the size to the back of the frame or front of the frame. Refer to the measuring guides for more details measuring guides for bay posts. BAY POST BUILDOUTS – It possible to order buildouts on your bay posts to match any frame buildouts, you can request this option in the notes box on the order form. 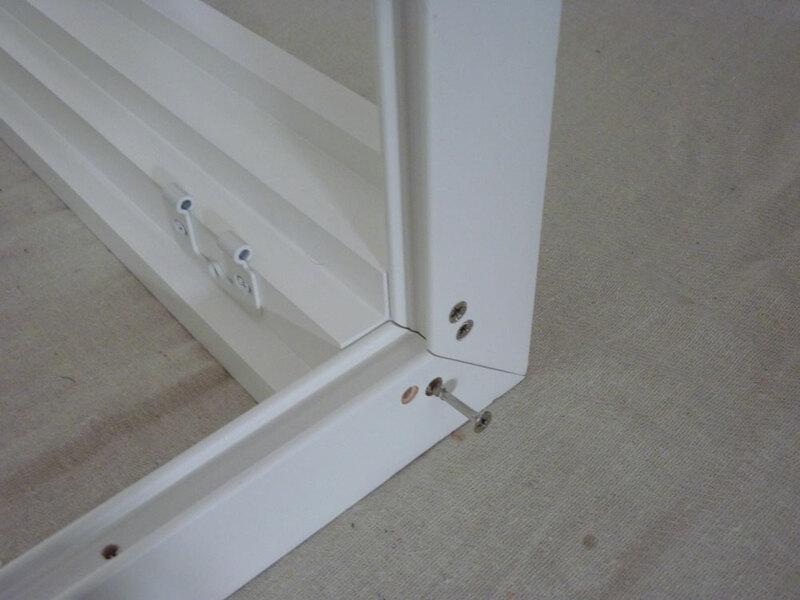 FIXING – Bay Post’s are screwed into the shutter frame through the top and bottom of the frame, they need to be assembled on the floor before lifting the frame into he recess, otherwise you can not access the fixing screws. 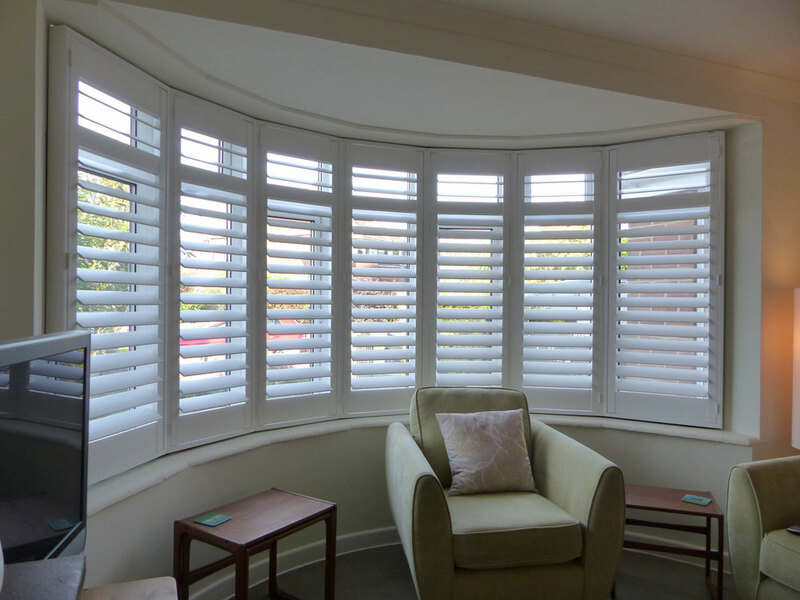 Although the frame is pre-drilled we advise aligning the shutters in the frame to ensure the correct spacing between shutter panels bay posts and any Tposts, before fixing them into place. FITTING DEDUCTION – Remember to deduct and fitting clearance from your bay posts when ordering.